Nelson Luz Santos is an officer with the firm. Nelson represents individuals; businesses; regional, national, and local owners and developers; and entrepreneurs in connection with transactional legal matters involving business, real estate, and commerce issues. Nelson’s experience not only extends to transactional representation, but to civil litigation representation regarding business and real estate disputes including but not limited to housing law, condominium law, leasing, land use, and other various corporate and real estate matters. Nelson is admitted to practice in the Commonwealth of Massachusetts and before the United States District Court of Massachusetts. Nelson is a resident of the firm’s Worcester office but meets clients throughout the firm’s various locations. Nelson is a life-long resident of Hudson, Massachusetts. He earned his Bachelors of Science in Resource Economics from the University of Massachusetts – Amherst with minors in Portuguese and Information Technology in 2007. 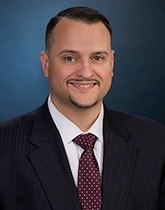 He earned his Juris Doctorate from Massachusetts School of Law in 2010. Prior to joining Fletcher Tilton, PC, he was an Associate at Yates Law Offices, P.C. in Hudson, Massachusetts. Nelson is committed to community involvement and actively participates as a member of the Hudson Portuguese Club (current Secretary of the General Assembly and Past-Secretary of the Board of Directors); multiple regional Chamber of Commerce and professional networking organizations; and an elected Cemetery Commissioner for the Town of Hudson, Massachusetts. Nelson is a First-Generation American, who understands that life is full of challenges and whether one can overcome each of these depends on an individual’s ability to work hard and have the dedication and motivation to succeed. Nelson is dedicated to his clients and motivated to achieve the desired results.